90 degree offset handle and compact head design allows you to reach any tight spaces. The most compact movable jaw wrench available. 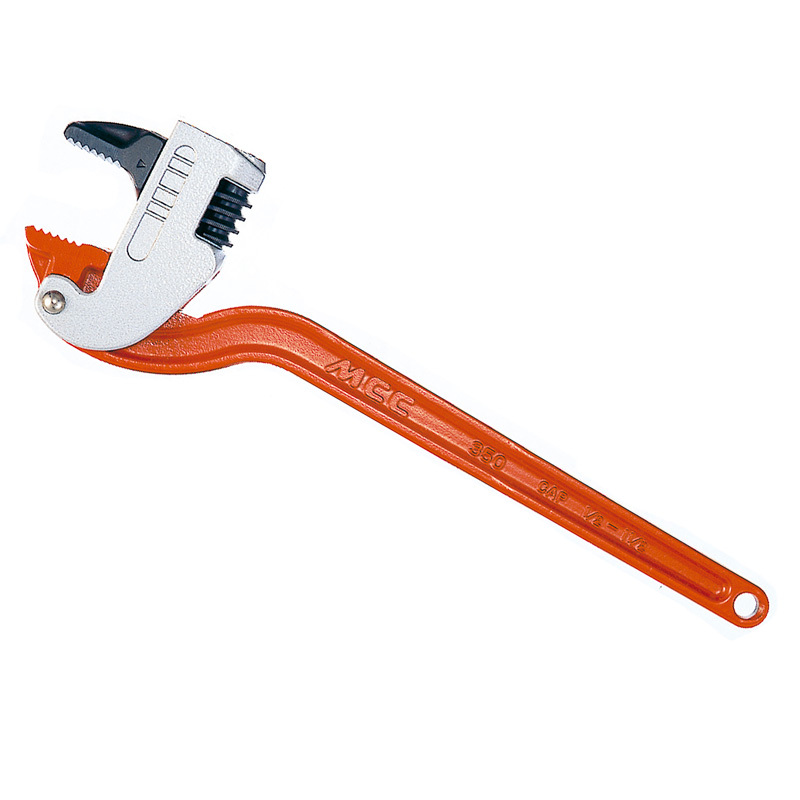 No jaw end comes out from the frame versus ordinary offset pipe wrench. Spring loaded jaw frame provides a ratchet like action for quicker operation in tight spaces, which allows you to keep tightening/loosing pipes. Size adjustment can be done very quickly by turning a worm gear. Forged steel handle.